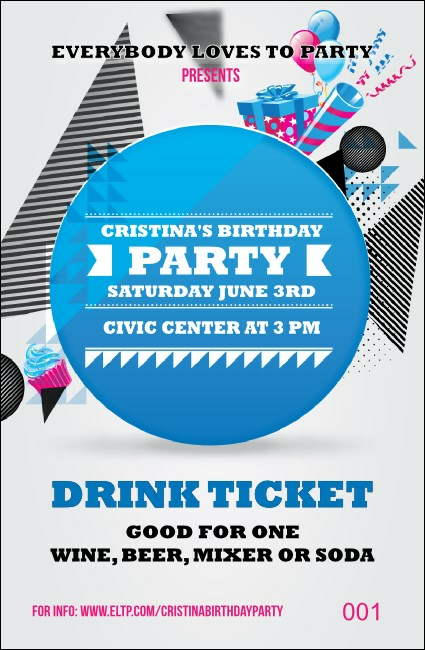 Get your guests in great shape for your birthday event when you give them unique Birthday Party Geometric Drink Tickets. With a modern design that includes bright and bold colors along with distinctive shapes and sequential numbering for event security, these tickets will help give your party the right angle! TicketPrinting.com helps put the frosting on your birthday cake.